According to the Epilepsy Foundation, about 4 percent of people in the United States develop epilepsy. Doctors newly diagnosed children with the disease more than adults, but it can develop later in life too. Although it’s possible to outgrow it, those who suffer over the long term need strong treatment plans. Thankfully, there are many natural options to prevent epileptic seizures. Epileptic seizures are the result of epilepsy, which disrupts electrical activity in the central nervous system. The disruption involves abnormal brain activity that can affect any process that the brain controls. Doctors categorize epileptic seizures into two main categories: focal or generalized. They base the classification on how the abnormal brain activity starts. Despite that, all epileptic seizures begin in the brain. Since there are various seizure types, the symptoms can vary slightly. Some people have a blank stare for a few seconds, but others experience uncontrolled arm and leg twitches. Seizures can also lead to loss of awareness and unusual behavior or sensations. In general, however, people with epilepsy tend to experience the same types of seizures. Because of that, they have very similar symptoms each time. There’s no identifiable cause of epilepsy in about 50 percent of those who have it. For the others, the disease is traceable to factors such as genetics, head trauma, and infectious diseases such as AIDS and meningitis. Epilepsy can also develop from prenatal injuries and developmental disorders, including autism. Brain conditions such as strokes and tumors can cause damage that leads to epilepsy too. Once diagnosed, people need to understand what triggers their epileptic seizures so that they can avoid them. Triggers can be situations, people or foods, and they differ from person to person. Some common examples include alcohol, lack of sleep, and stress. However, sometimes it’s difficult to figure out what provokes a seizure. Most doctors begin treating epileptic seizures with medications, and then they suggest surgery or other options when necessary. However, it’s common for people to want to try natural remedies before they start putting synthetic chemicals into their bodies. Below are other natural treatment options for epileptic seizures. Before using any of these remedies, you should speak with your physicians to determine if they’re safe. Eating and eliminating certain foods is one of the oldest natural treatments for epileptic seizures. The ketogenic diet seems to work for some children. It’s high in fats and low in carbohydrates, so the body has to use fat for energy instead of sugar. An altered Atkins diet could be effective for teens and adults. It’s also high in fats and restricts carbohydrates. It can only take a few months of following this diet for people to see results. A low glycemic index diet is similar but less restrictive. It’s important to work with a dietitian to implement any of these diets to ensure proper nutrition. In the end, simply eating fewer processed foods may reduce seizure frequency. Based on Chinese traditions, certain herbs have been shown to improve epileptic episodes. Chamomile, passionflower, and valerian are a few examples. However, caution is advised because the U.S. Food and Drug Administration doesn’t monitor herbal supplements. In some people, low levels of B6 can trigger epileptic seizures. Taking B6 supplements and other vitamins such as E and magnesium could have promising results. Manganese, taurine, and thiamine supplements may reduce seizures too. Since anxiety and stress can trigger epileptic seizures, acupuncture, massage, and other methods of relaxation might be effective treatment options. Relaxing the muscles and feeling calmer could help people manage the disease. They may also combine these techniques with aromatherapy oils such as jasmine and lavender. Sumerian records from 2900 B.C. show that cannabidiol was a useful seizure treatment. 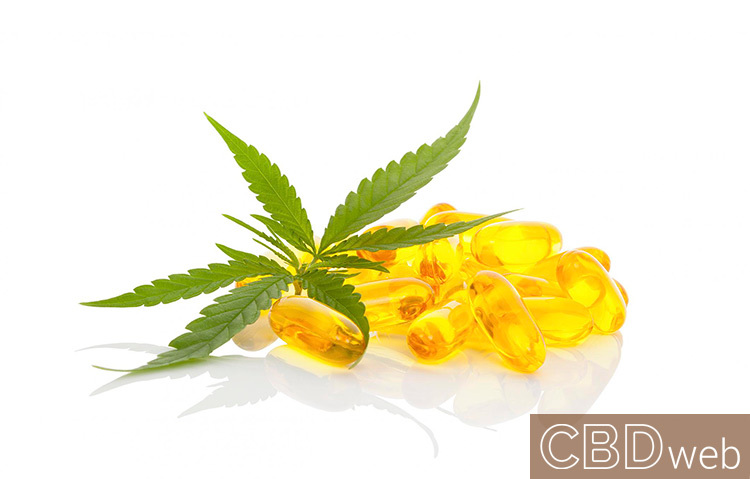 CBD oil works because it has the most anti-convulsive properties among dozens of cannabinoids. It targets regions of the brain that provoke convulsions, altering certain neurotransmitters. This changes how ions flow, which alters how brain cells function. About 30 percent of people with epilepsy don’t have success with pharmaceuticals. However, many independent studies have had promising results for CBD oil as an effective alternative. One study in 2017, for instance, concluded that it’s generally safe. Also, many of the states where medical marijuana is legal view it as a valid alternative treatment option for epileptic seizures.